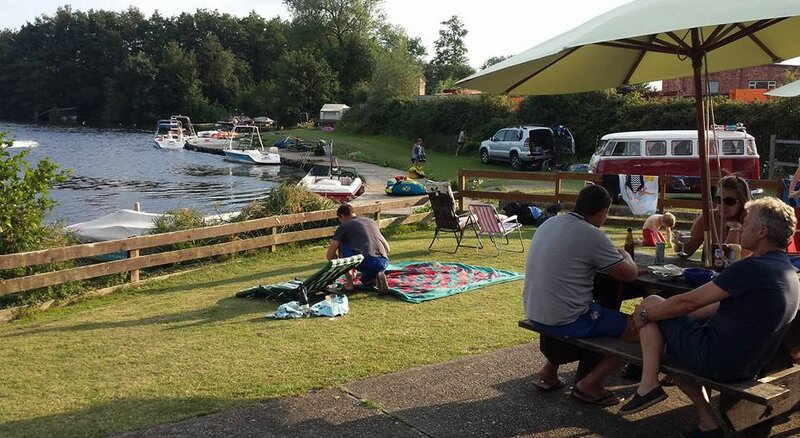 A private boat-owners' lake near Reading. Established 1961. The clubhouse is kitted out with comfy sofas, hot showers and kitchen. We have a brick BBQ, loads of outdoor seating and even a beach for the kids to play on! 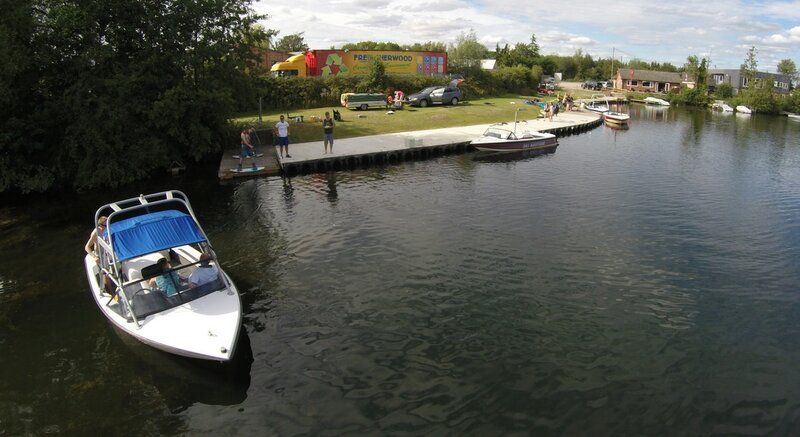 Boat and trailer storage is available on-site. 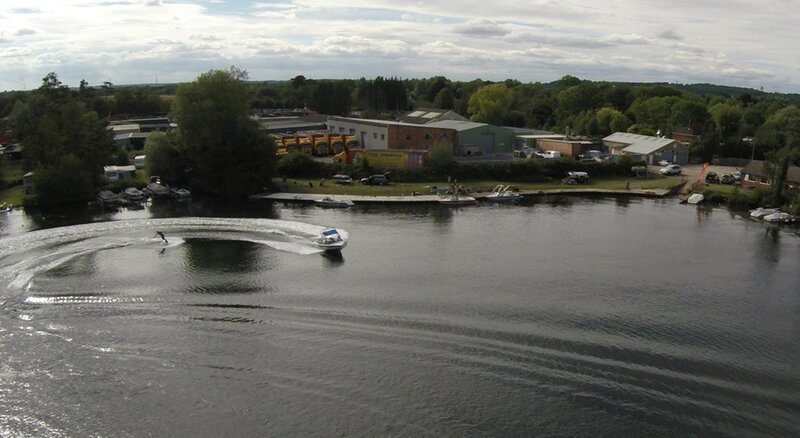 We operate a one-boat-at-a-time policy, ensuring you get flat water every run, from 8am to sunset every day of the year. We offer what we believe are some of the lowest fees in the area. Social, child, full-time student and senior memberships too. Our tournament-standard course is fitted with Perfect Pass magnets on the slalom course to guarantee you a great ski. Jump ramp available for the brave, and a long, straight, wakeboard run. We run several social events each season at little or no cost to members. Recently we have put on live music, hog roasts and DJs. Members camp most summer weekends. Children very welcome. The club is not-for-profit and is run by a committee of members solely for the benefit of the membership. Fill in your details below and our friendly membership secretary will be in touch as soon as possible to discuss availability, pricing and any other questions you might have regarding joining the club.